Tom Hanks poses at the Mark Twain awards. 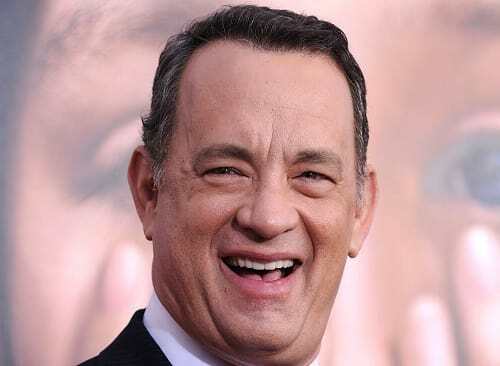 What is the top 10 movies of Tom Hanks? Tom Hanks is probably the most talented movie star on the planet. He also seems like a really good guy away from the camera and the big screen. You never read about Hanks making news for anything other than acting in great films. And that's the way it ought to be. Steven Spielberg Starts Filming Cold War Thriller with Tom Hanks! Saving Mr. Banks: Is Tom Hanks Making a "Saving" Trilogy?